After my exposure to formaldehyde from the Brazilian Blowout in 2011, the chemical poisoning I experienced resulted in various health problems, including sensitivity to chemicals. Over the years, the sensitivity started to become worse. By the month of May this past spring, I developed severe MCS (Multiple Chemical Sensitivities) after visiting a recently renovated home that exposed me to various toxic chemicals. That was the tipping point, and my body just could not handle much more. Overwhelmed from environmental illness, I was at a very low point with my health. I want to use this blog entry to try and explain MCS and its effects since there is so little information out there on a condition that is starting to be experienced by more and more people as we are continually exposed to dangerous chemicals in our environment. Synthetic chemicals in fragrance, fire retardant chemicals and the chemicals used in furniture all make me very sick. This means every day items such as perfume, cologne, deodorant, air fresheners, soaps, lotions, detergents, fabric softeners, house hold cleaners and more affect me negatively. The stuffing in couches, the formaldehyde in foam mattresses and the chemicals used as fire retardants on furniture also make me ill. Chemicals from new shoes, new clothes and house hold appliances are also among the many culprits. I can no longer use my oven as I have become sensitized to the gas, and need to cook by using hot plates instead. I have yet to find a mattress I can tolerate, and at one point had to spend a month sleeping on the bathroom floor because it was the only place that I did not become too sick. Another time, my bath robe was the only article of clothing that my body could tolerate for over a week. Everything else was too drenched in chemicals from the detergent at the public laundry mat and synthetic fibers, such as acrylic, cause rashes now. 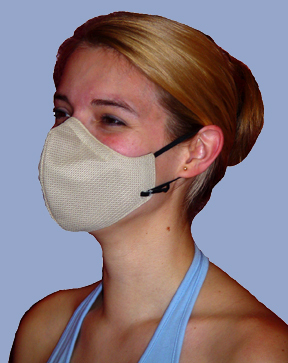 For a long time I had to wear a carbon filter mask on the bus, the subway and in taxis. The chemicals from people’s perfume and other artificial fragrances, as well as air fresheners, would make me incredibly sick. At my doctor’s office there were so many air freshener plug-ins that I nearly fainted and had to be laid down on a table, while breathing into my mask until I was well enough to walk. Symptoms include dizziness, nausea, headaches, fatigue, chest pains, rashes, cognitive problems (such as brain fog and memory issues), tremors, chills and more. My food intolerances and allergies have expanded, as well. Finding a medical professional experienced with Environmental Illness has been very difficult so I have done an incredible amount of research on my own towards healing. Many people with MCS live in isolation, or have become homeless, as their homes make them too sick to stay and they are too sick to work. Many others are able to heal to a degree in time. After much research, I started a supplement regimen that has been really beneficial to me. I have eliminated as many toxic items from my home as possible and try to eat organic more often than not. I passed along all of my makeup and nail polish to a dear friend and now all of my personal care products and makeup are organic or non-toxic. I don’t use fabric softener anymore and changed to a non-toxic detergent. I gave away all of my candles and boxed up my incense. Everything from my deodorant to my toothpaste is free of toxic chemicals. Reading ingredients is very important. A lot of companies say things are “natural” but that does not mean they are organic. Wording and labeling is very important and I encourage readers to really research the products they are using. It is important to also remember that for those of us with chemical sensitivities it is not the “smell” that bothers us, but rather the artificial chemicals behind the smell. Therefore, an “unscented” product may not be “fragrance free” and can still make us sick. Avoid all products that have fragrance, since by law fragrance is considered a trade secret and therefore manufacturers do not have to list the ingredients that fall under the term, but are very toxic nonetheless. You can use organic essential oils instead. Yoga, meditating and going for walks are all beneficial to healing, too. Staying positive is so important! In the beginning, I scoured the message boards and support forums on a regular basis until I realized those places were not for me. I think they are great for some people, but I encountered a lot of negativity and I never want MCS to define me. So I cut ties and only browse very occasionally. It has helped tremendously. Also, acupuncture has helped me manage my symptoms and stimulate my body’s functions to properly handle this condition. With MCS, the body is overloaded with chemicals and does not know how to properly eliminate them. Fragrance bypasses the blood-brain barrier and goes directly into the system, causing a person’s body whose toxic load is too high to go into “flight or fight” response. Being a hair stylist with MCS, one of the hardest things I ever had to do was give away the many tubes, boxes and canisters of hair color that I used on clients. I can no longer color my hair or be around it every day to use on other people. 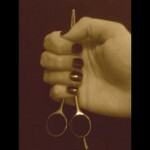 Working on set and away from the salon gives me more control over the products I am exposed to. While I chose this part of my career before I became sick, knowing that I no longer have the option of going back to the salon is disappointing. I may have challenges posed by these new limitations, but I love doing hair too much to give up, so I work around the hurdles and do what I can when I am able. There are many methods to try on the road to healing. While I am not recovered, I have made drastic improvements since the spring. I rarely need my mask on public transportation unless it is a packed train or a really strongly scented cab. That alone is a huge milestone for me. I am confident that in time I will continue to get well but it has definitely been a challenge! Overnight so much of my life has changed, and I still am coming to terms with some of these transitions. Ultimately, it is for the best, and I am healthier for it. I encourage all of you to take a look at the products you use and consider safer alternatives. And, please, stay away from smoothing treatments at the salon! I am not the only person who has developed chemical sensitivities from being exposed to the Brazilian Blowout and other keratin treatments. The risk is not worth it. I would love to hear from others with MCS and those of you with questions. Please feel free to reach out with your stories and advice! Thank you so much! I follow your work and am a big fan! Thanks for sharing! One thing to be aware of: not all organics are safe for all MCS sufferers. Because I had mild Reyes Syndrome twice as a child from aspirin, I now have severe sensitivity to salicylate & benzene. These chemicals are naturally present in most plants, even if organic, as well as many man made fragrances, preservatives, colorings, medicines (including Benadryl and rescue inhalers), etc. I loved vegetables, fruits, and herbs, for ingesting or in skincare but most are toxic for me even if they never were exposed to man made chemicals. Yes, absolutely! I am also unable to eat fruit and some vegetables, and am unable to use an inhaler. I am sorry to hear about your sensitivities. Thank you for spreading the word. The more of us who speak out about MCS the better chance there is of large-scale changes occurring in our laws, labeling understanding. Thank you, Colleen! I hope that we are able to spread enough awareness in the hopes of positive changes! THANKS FOR SHARING—- I ALSO HAVE MCS BECAUSE I WAS A COSMETOLOGIST FOR MANY YEARS & ALSO WORKED FOR A HAIR COLORING COMPANY!! 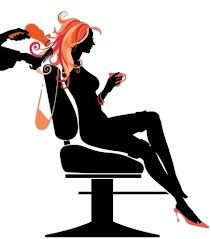 THERE IS NO DOUBT I HAVE THE MAIN MCS HEALTH PROBLEMS THAT I DO — DUE TO BEING A COSMETOLOGIST!!! Thank you for reaching out and for reblogging this post! It is nice to hear from a fellow cosmetologist, but I am so sorry that you are also affected by MCS. Good information and one more voice helping to educate people. Thank you! I am a fan of your blog; I appreciate the comment. Thank you for following my blog. I’m glad I found yours. Hi! My name is Dawn! I have developed severe MCS after working in a salon for almost 29 years!! I also have trouble with fluorescent lighting, it’s so bad that I can barely Stand to be in a store!! Have you ever had trouble with this? I am currently detoxing with a naturopath but would love to hear more about your story!! Thanks so much for sharing! !